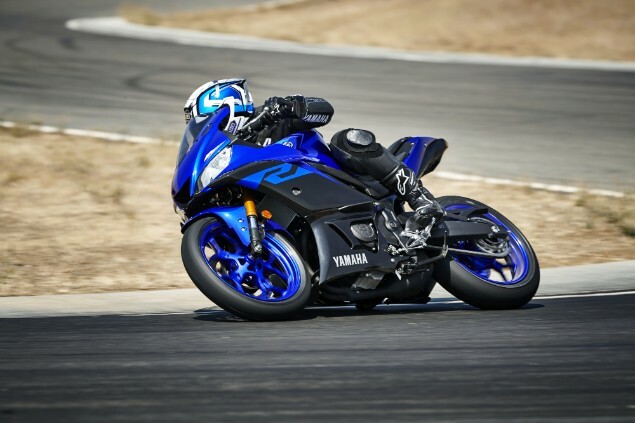 Yamaha has kept the pressure up on rivals in the hotly-contested 300cc sportsbike class with the 2019 YZF-R3 which gets a complete restyle, new suspension and a raft of other changes. The 300cc category, both faired sportsbike and naked roadsters, has been getting increasingly competitive as almost all of the major manufacturers have developed bikes to chase younger riders and those who are on restricted A2 licences. 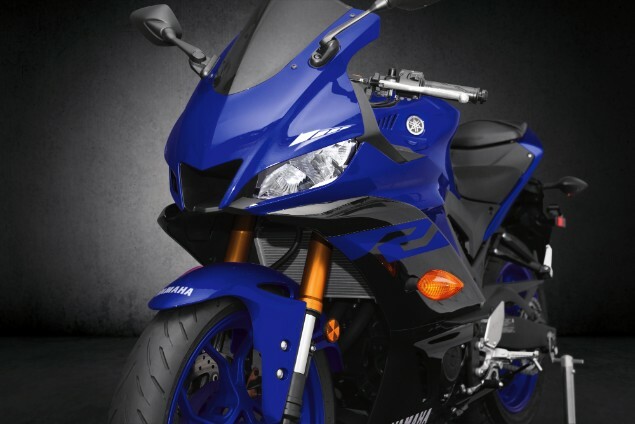 Yamaha is making big of the 20th anniversary since the original Yamaha YZF-R1 was first released in 1998 and in an instant, completely rewrote the 1000cc sportsbike rules. To celebrate the company has now got one of the most comprehensive sportsbike ranges of all manufacturers with the newly refreshed YZF-R125, this YZF-R3, the YZF-R6 and the YZF-R1 and YZF-R1M models. 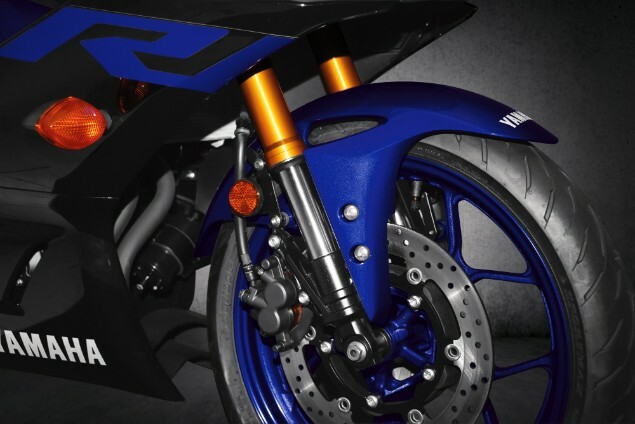 For 2019 the R3 keeps the same 321cc parallel-twin, liquid-cooled, four-stroke motor that has DOHC, four-valves per cylinder and fuel injection and is known for being smooth and reliable while producing 42PS and 29.6Nm of torque. The change to the styling of the bike is the most immediately obvious change as it now looks very similar to the bigger brother R6 and R1 models in the range along with the MotoGP YZR-M1 racing bike of Valentino Rossi. The new fairing and windscreen, thanks to many hours of windtunnel work, is now claimed to be seven per cent more aerodynamic which, with just 42PS of peak power, will potentially make a noticeable difference to high speed performance with Yamaha saying it will make a 5mph top speed difference. A new shape to the fuel tank hasn’t changed the fuel capacity of 14 litres but revised handlebar position, mounted 22mm lower gives the bike a more connected riding position. Mechanical changes to the bike are concentrated on all-new upside down front forks which are 37mm KYB units which have been designed to increase the rigidity of the fork which improves handling and rider comfort. Additionally, new LED headlights and sidelights along with a new LCD instrument panel give the bike a ‘big bike feel’ and combined with the new 10-spoke wheels make for one of the best-looking bikes in the 300cc sportsbike class.